Snapchat’s bet on augmented reality seems to be paying off. The rollout of Lens Studio, which allows anybody to create their own AR experience with a set of desktop creative tools, has been a bright spot for the company. The tool has been well-received, with over 30,000 lenses created just six weeks into its launch, with the lenses viewed over one billion times. Snap’s total advertising revenue for the fourth quarter grew 74% year-over-year to $US281 million. The platform has been ahead of the curve ever since it unveiled its first rainbow-barfing lens back in September 2015, but developing an AR experience used to be a cumbersome process. To fix that, Snap rolled out its Lens Studio in December 2017, allowing anybody to create their own AR experience with a set of desktop creative tools. The tool has been well-received, with over 30,000 lenses created just six weeks into its launch, with the lenses viewed over one billion times, according to Snap CEO Evan Spiegel’s prepared remarks for the company’s 2017 fourth quarter earnings. 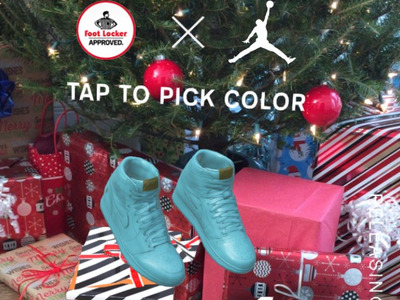 Foot Locker was the first advertiser to leverage Lens Studio to create a sponsored lens, which users played with for a period of 45 seconds on average. While brands have been tapping into Snapchat’s fun and quirky AR-powered lenses and filters for years, Lens Studio seems to have cemented Snapchat’s position as a leader in AR advertising, giving it a much-needed competitive differentiator as it proves its mettle as a newly public company. Overall, Snap’s fourth quarter result beat analysts’ estimates, propelled by growth in its advertising business and user growth. Total advertising revenue for the quarter was $US281 million, an increase of 74% year-over-year and 38% quarter-over-quarter. The company did not break down how much of its advertising revenue came from augmented reality lenses, but said that more than half of 13 to 34 year-olds in the US play with augmented reality lenses on Snapchat. Snapchat faces increasing competition from deeper-pocketed rivals. Facebook recently opened up its AR platform to developers, and Google and Apple have introduced AR platforms as well. Still, marketers seem bullish on Snapchat.